GO BOX Storage sells 1.5, 2, 3 and 6 cube boxes. We also have specialty boxes for plasma TVs, mirrors, clothing and china. If you move a lot and have the storage space, break down your old moving boxes and store them flat until the next move. If you have space, break down and store any specialty boxes that come with new plasma TVs, computers, stereos, china, household appliances, etc. Call your local BC Liquor Store and see if they give away used boxes. Call first. Many liquor stores do not give out used boxes anymore. Use newspaper and fliers to pack your china and kitchen equipment. What a great use for junk mail! You will, however, have to wash your china and kitchen equipment before use to remove the printer's ink. Use old towels, linen and blankets to cover and protect your furniture, mirrors and artwork. Use heavy plastic bags for good blankets, towels, linen and clothing. Look around your house and see if you already have the following items: markers for labeling boxes, tape and tape dispenser, Ziploc or garbage bags in various sizes, utility knife and scissors, boxes in various sizes and plastic bins. See if you can find any wrapping and cushioning materials such as: tissue paper, newsprint, bubble wrap, foam and Styrofoam peanuts. Collect any useable rope, straps, and bungee cords for packing and tying down. Don't buy packing supplies you already have! If you move a lot, or have to store your possessions in damp conditions or rodent infested areas, consider buying stackable plastic totes with lids. Buying totes is more expensive then buying cardboard boxes but they will last for decades. GO BOX Storage doesn't sell totes but you can buy totes at any big box store. I use totes in my house on a daily basis for all kinds of storage. I have even used them as night tables, clothing bins, recycling bins and as a medicine chest. I even use totes for vehicle emergency equipment, car camping and canoe trips. This is my favorite plastic tote. Finally when you do get down to packing, label the top of each box with a destination room in your new house. Label each box with: kitchen, living room, garage, bathroom 1 or 2, bedroom 1, 2, 3 or 4, deep storage, etc. This avoids boxes having to be moved a second time because the box was brought to the wrong room. There is no need to label the contents of each box unless the box is going into deep storage. Remember to label the box "deep storage" and then label the contents of each individual box. 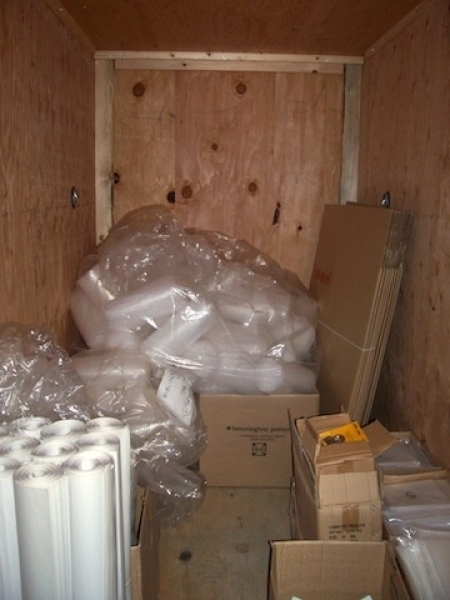 GO BOX Storage sells bubble wrap, newsprint and locks as well as plastic covers for chairs, sofas and mattresses. Call ahead and we will prepare your packing supply order for pickup. Or get your packing supplies delivered with your GOBOX. SOS TIP: If you are in a hurry and need to buy professional packing supplies, GO BOX Storage can help. 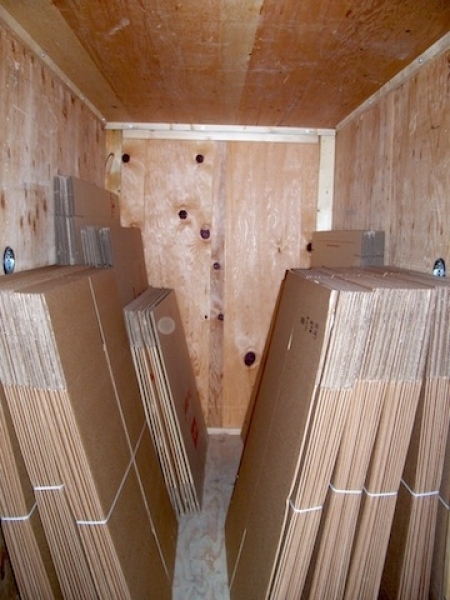 We have GO BOX Storage Packing Kits with a wide variety of packing supplies for moves of different sizes. GO BOX Storage gives 10% off on Packing Kits or you can buy the packing supplies individually. If you are getting a GOBOX delivered, we can bring your packing supplies order at the same time. This will save you time and effort.